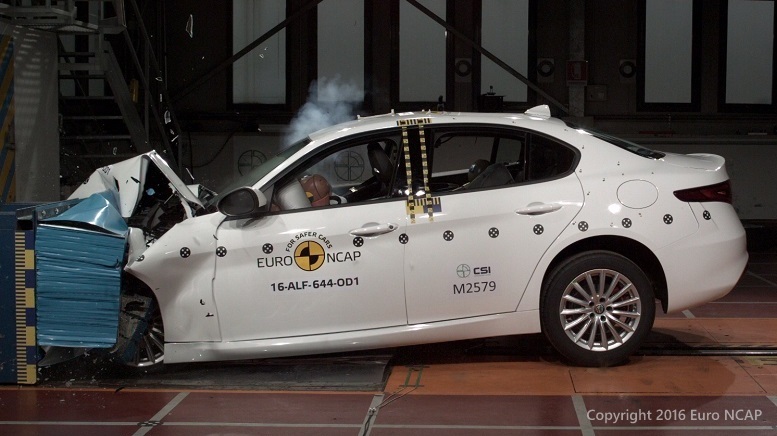 The Alfa Romeo Giulia recently received a five-star crash test rating in the demanding Euro NCAP tests. 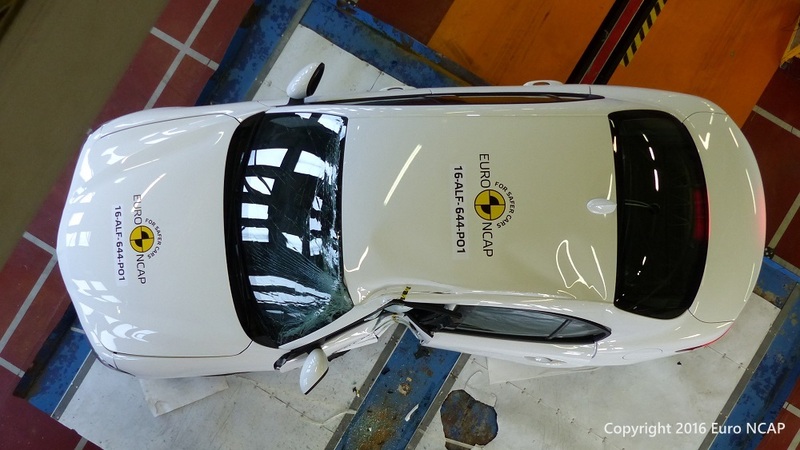 The European New Car Assessment Programme or Euro NCAP for short, is an organization that assesses the safety performance of cars sold in Europe. Four different areas are graded: adult occupant protection, child occupant protection, pedestrian protection and safety assist systems. 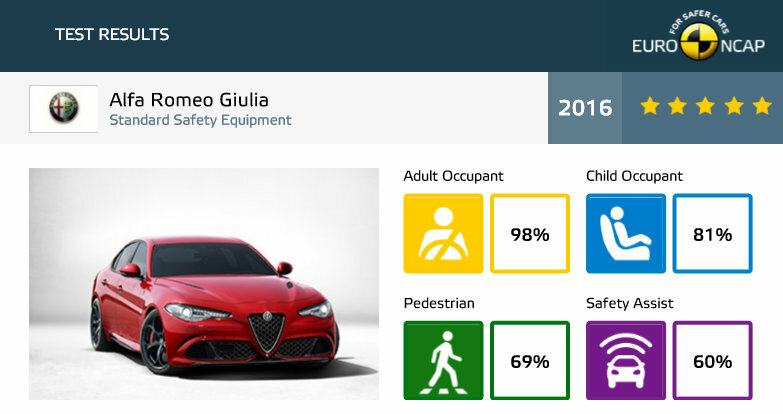 The Alfa Romeo Giulia did particularly well in the Adult Occupant assessment, earning the highest score recorded during the comparable period of 2015 and 2016. The Adult Occupant Protection score is determined from frontal impact, side impact and whiplash tests, which are carried out to assess the protection of adult driver and passengers offered by the vehicle. 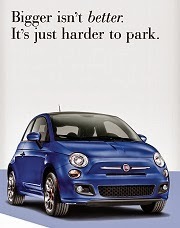 The Giulia earned a score of 98%. Alfa Romeo Gilia crash test video. Shown are Frontal Offset, Frontal Full Width, Side, Pole and Pedestrian impacts as well as Whiplash tests, Autonomous Emergency Braking systems and Lane Support systems. The passenger compartment remained stable in the frontal offset test. Dummy readings indicated good protection of the knees and femurs of both the driver and front passenger. Alfa Romeo showed that a similar level of protection was provided to occupants of different sizes and to those sat in different positions. 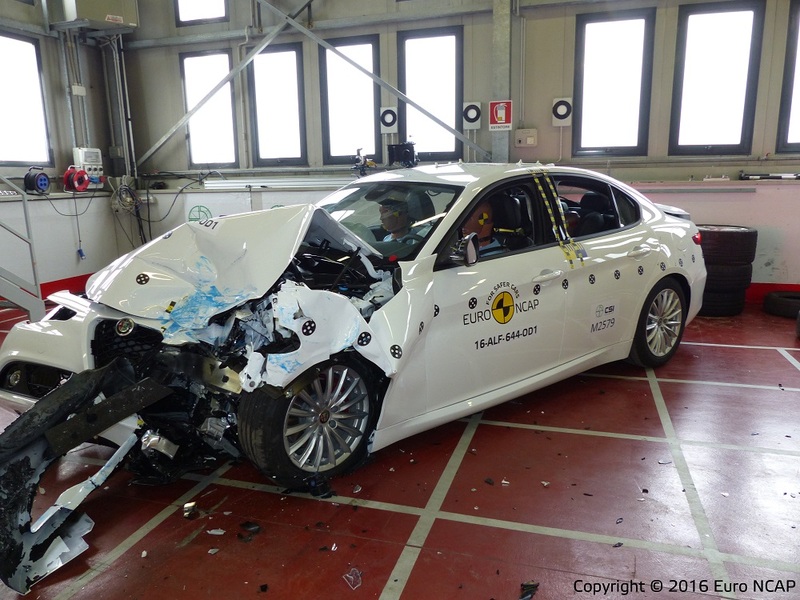 In the full-width rigid barrier impact, good protection was provided to all critical body areas of both the driver and the rear passenger, and the Giulia scored maximum points. Full points were scored, too, in the side barrier test, all critical parts of the body being well protected. In the more severe side pole impact, good protection was provided to all body areas except the chest, protection of which was adequate. Tests of the front seats and head restraints showed demonstrated good protection against whiplash injury in the event of a rear-end collision, and a geometric assessment of the rear seats also indicated good whiplash protection. 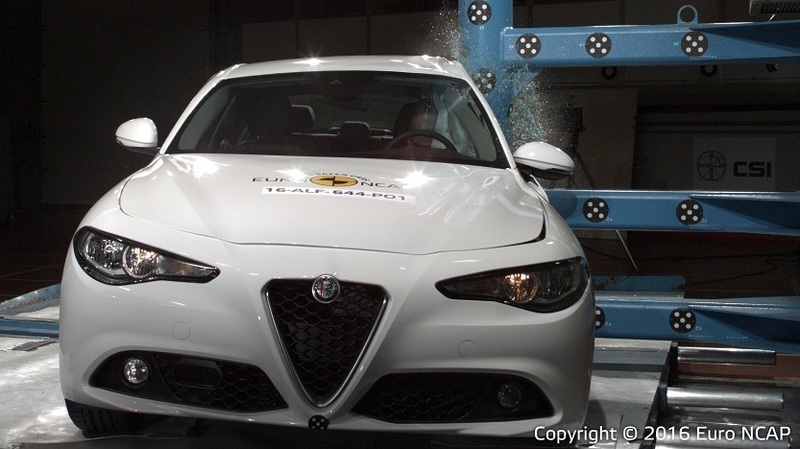 The Giulia has an autonomous emergency braking system as standard and tests showed it provided good protection against whiplash injuries in low-speed accidents, successfully avoiding impact in all of Euro NCAP's tests. In the frontal offset and side barrier tests, both dummies were properly restrained throughout the impacts. In the frontal test, protection was good or adequate except for the chest of the 6 year dummy, for which dummy measurements of deceleration indicated marginal protection. In the side barrier test, protection of all critical body areas was good for both the 6 and 10 year children. 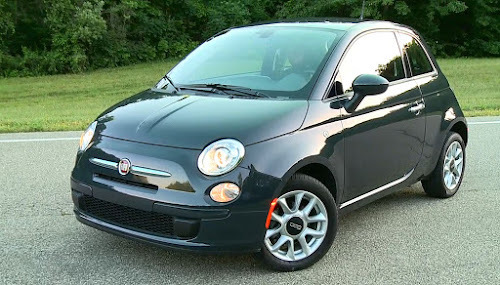 The front passenger airbag can be disabled to allow a rearward-facing restraint to be used in that seating position. 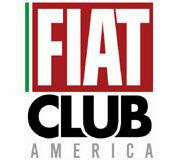 Clear information is provided to the driver regarding the status of the airbag and the system was rewarded. In Euro NCAP's installation tests, all restraints could be properly installed and accommodated by the Giulia except for the rear centre seat which Alfa Romeo say is unsuitable for universal restraints. The bonnet provided mixed levels of protection to the head of a struck pedestrian. Some areas in the centre of the bonnet were good but much of the area around the edge showed poor results when tested. 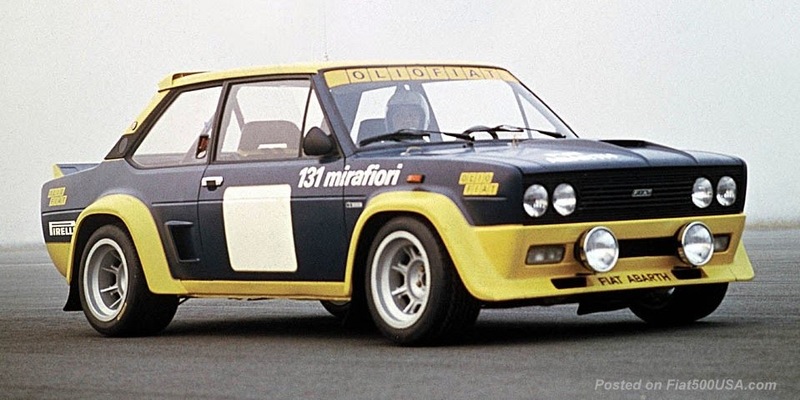 However, the protection provided to pedestrians' legs and to the pelvic region was good and the Giulia scored maximum points in these areas. The autonomous emergency braking system can recognise vulnerable road users such as pedestrians and tests showed that the system worked well. The Giulia's standard-fit autonomous emergency braking system works also at highway speeds and performed well in Euro NCAP's tests of this functionality. The car also has a seatbelt reminder for the front and rear seats as standard. A driver-set speed limiter is also fitted as standard, but it cannot easily be set or adjusted while the car is moving and was not rewarded. 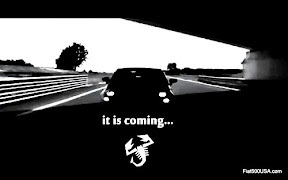 A lane departure warning system is also standard equipment. 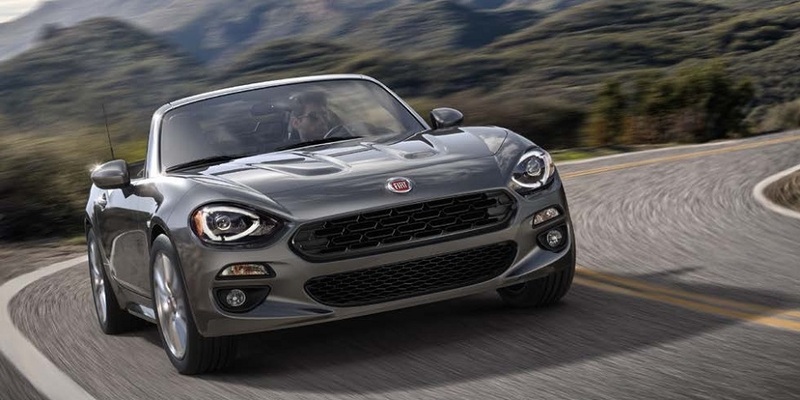 Happy Father's Day From Fiat 124 Spider! 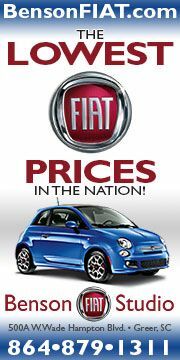 Fiat 500 Number 1 in Total Quality Again!